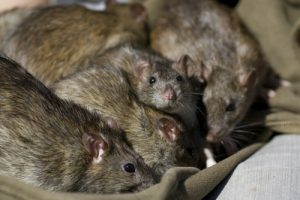 The Montverde area has become an increasingly popular residential area of Central Florida in recent years, and though this influx of people and business has brought businesses and families to the area, it has also brought with it an increase in rat activity. Protecting against invasive animals like rats is important not only to the wellbeing of our homes and offices, but to the health of you and your loved ones as well. What Makes a Rat Dangerous? One of the things that makes a rat infestation so dangerous is how quickly they can reproduce. A small handful of rats can take over a property in an alarmingly short amount of time, so it is important to seek help as soon as you notice their presence. It might seem like a worthwhile idea to buy some of the many DIY trapping methods available on the market, but without the necessary knowledge and experience most DIY efforts are ineffective and do nothing to address why the rats were able to enter in the first place. For decades, Critter Control® has built a reputation as the premier rat removal option all over the country. Our exclusive removal techniques combined with our ability to clean up and repair any animal damage caused to your home or business make Critter Control® of Orlando a true one-stop-shop for all rat removal needs. Call us today at 407.295.7194 with questions, or to schedule a consultation.